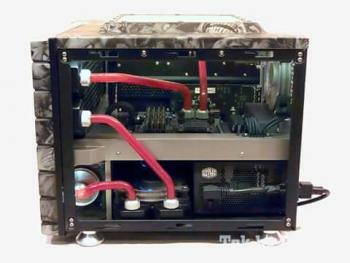 Aerocool Advanced Technologies, one of world’s leading manufacturers of excellent gaming PC gear, proves once again that great ideas can push the air cooling market further. 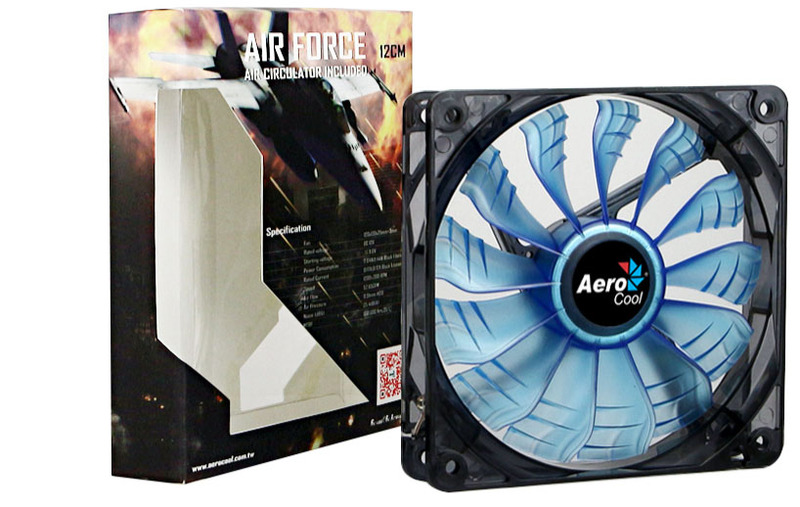 After releasing the successful „Dead Silence“ case fan series, which innovated the market thanks to its great performance and dual-material design, Aerocool now presents the “Air Force” case fan series. 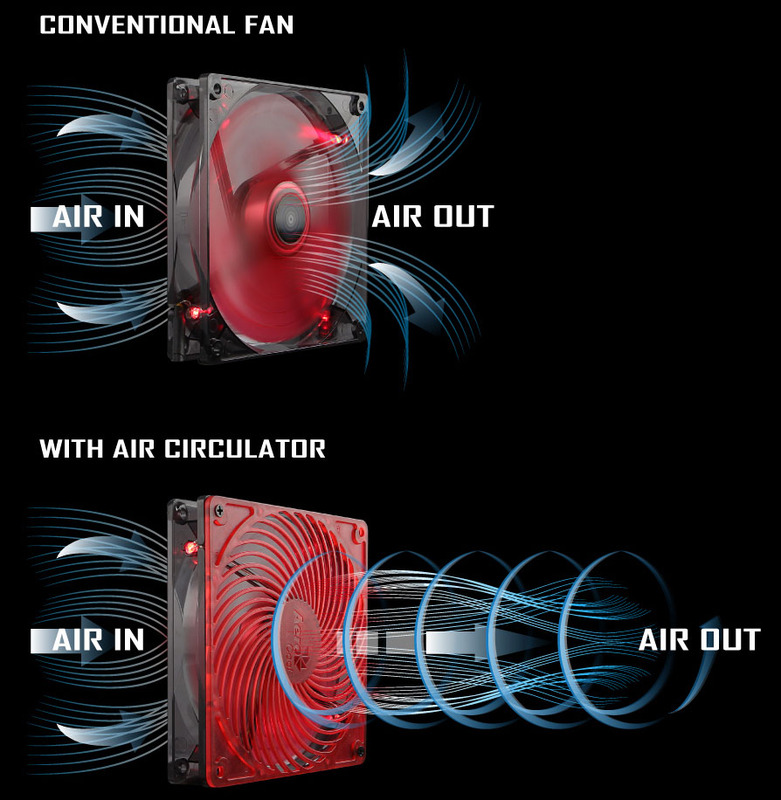 The new series features energy-efficient fan blade design and the Air Circulator attachment for guided airflow and intense cooling. 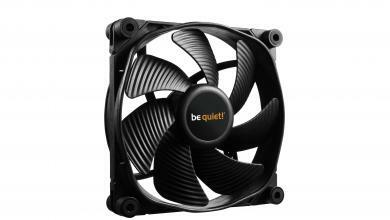 Aerocool offers both 120 and 140-millimeter models, which are available in several color-variation. 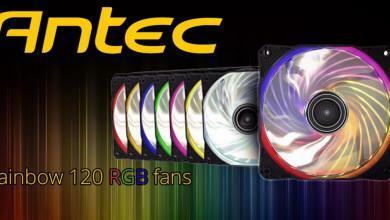 Users have the choice between a classic “black edition” without LED illumination and the colorful editions with LED illumination, such as blue, white, orange and red. 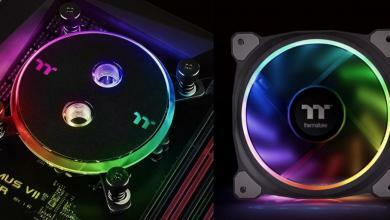 Fancy design is not the only aspect of the new Air Force series. 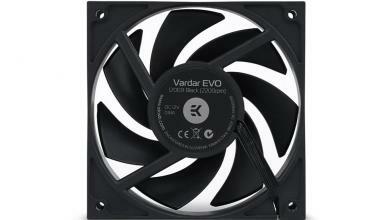 High airflow at low noise level is achieved thanks to the energy-efficient fan blade design, which reduces air turbulence. 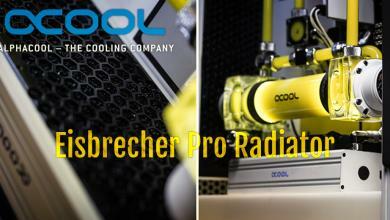 All 120 mm models are rotating at constant 1.200 RPM and create a steady airflow of 52,65 cubic feet per minute at mere 25,4 dBA. The 140-millimeter models are operating at virtually the same noise level (25,5 dBA), yet spinning at only 1.000 RPM, while moving impressive 62,26 cubic feet per minute. 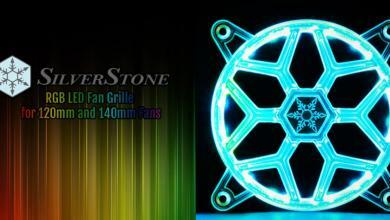 via Aerocool Air Force: Silent case fans with FDB and Air Circulator | eTonix Media PR.